Add client - How can we help? To make an invoice, you need to have a client for whom you're invoicing (unless you are doing it just to play around, in which case you can just make up a client). In your invoice screen you can easily add a new client, without having to switch through too many buttons. Go to the Client name field and click where it says “Select Client”. Congrats, you just added a new client! 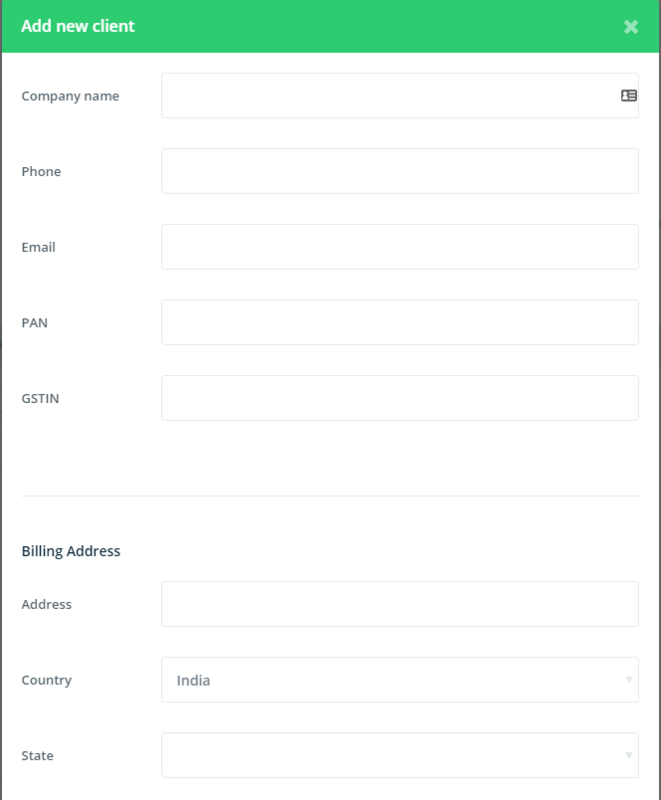 You can now invoice this client and you will later on find them in your client list, meaning can create an invoice for them much faster.